Chapman Builders is a valued Brisbane institution and one of Queensland’s longest established building companies. Our story is one of hard work, passion and aspiration. Our time in business is an endorsement to the Chapman family members who came before us and proudly built the construction industry in Brisbane since 1869. For us, building is more than the act of construction. At Chapman Builders, building is about creation; it’s about setting foundations and shaping history. We believe every project has a fascinating story and we want to be part of the narration. Our extensive industry experience provides us with great understanding, and we bring this insight to every project, large or small. Our team are just as familiar working alongside leading architects on commercial projects as they are working with families building or renovating their homes. Our builders’ attention to detail, efficiency, and commitment to quality and professionalism remains the same on every job. You may not have heard of Chapman Builders, but if you’re a Brisbane local, you’ll know our work. We built the original Sandgate State School, the first Brisbane Exhibition Hall, the Queensland National Bank building at Fortitude Valley, as well as many of Brisbane City’s period homes. 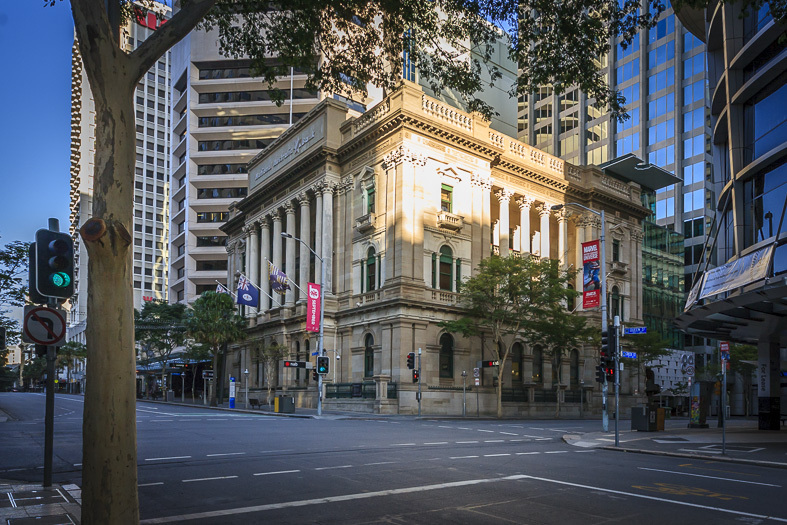 These days, we take great pleasure in restoring and maintaining several of Brisbane’s most appealing heritage buildings. When requested, we add modern additions to these buildings in keeping with the integrity of the original structure. Chapman Builders has remained an industry stalwart because we’ve moved with the times. We continue to innovate and develop relationships with premier architects. As a result of these partnerships, we’ve had the pleasure of building stunning contemporary Brisbane residences with precision detail. We’re proud to have built homes at the cutting edge of modern sustainable design. You can read about our latest projects on our Services page.